Neuromuscular disorders (NMD) in children include a diverse group of diseases with different etiologies including muscular dystrophies, disorders of the neuromuscular junction, congenital and metabolic myopathies, peripheral neuropathies, and anterior horn cell disease. Patients with NMD are particularly vulnerable to sleep-related dysfunction. Sleep-disordered breathing often precedes diurnal respiratory failure in NMD patients, requiring timely recognition and management with noninvasive ventilation (NIV). 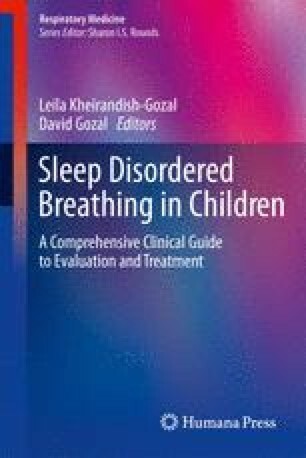 This chapter reviews the mechanisms, diagnostic evaluation, and management of various neuromuscular diseases, with emphasis on nocturnal breathing problems.